I just finished another entertaining book by Lisa Scottoline. Her latest is "Best Friends, Occasional Enemies." It's a collection of essays written by Lisa and her daughter, Francesca. 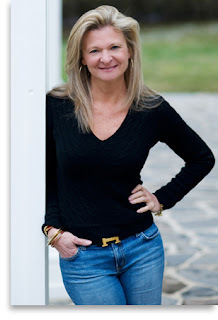 There are mother/daughter topics and 'every day' topics that everyone can relate to. I listened to the audio version, so I had the added benefit of listening to each of them tell their own stories. There's something about an author reading their own book that lends itself to the authenticity for me. Every inflection, every smile and joke comes through. I suggest getting ALL of these books for a glimpse into the life of a best-selling author. She has the same dilemmas as we do. Personable and approachable, you'll hear about "Mother Mary," which is what Lisa calls her Mom. She's a character in herself! And "Brother Frank," her brother. Whacky and wonderful subjects such as toenail clippings, falling trees, driving in the middle lane, and the love for their dogs (which is ALWAYS a good thing, if you ask me). My review system goes from 1-5, and this one is definitely a 5!! I've just finished "Both of Us: My Life with Farrah" by Ryan O'Neal. In the audiobook, he narrated himself. While not the best narrator, tending to pause at the wrong spots in a sentence, it's still nice to hear his book in his own voice. You can hear & feel the raw emotion. He's seemingly very candid, and having read both of his daughter, Tatum's, books, I'm sure the truth of their relationship lies somewhere in the middle. This leaves me with the certainty that his tumultuous love story with Farrah Fawcett outlasted time and even death For all his faults, the love and devotion he felt for her never wavered. It seeps through every sentence, every paragraph. She was much more than feathery hair and a bright smile. She had such grace and wisdom. Her intelligence and savvy were never fully realized to the public. I also watched her documentary, during her last years, fighting for her life. She had the guts to insist on filming her struggle to shine a light on the darkest side of cancer and bring it to the fore. Ryan's story is one of the joys of eternal love laced with the pain of his loss for the one true and constant loves in his life. In my rating system, I give it a 5 out of 5. So, after several weeks of not seeing my little furry, gray companion squirrel, he made an appearance today. In fact, he always seems to appear in my life to signal a great shift. I was sitting in my car, turned to my right, and noticed him through my window. Up at eye level, laying down, frogger-style, on a platform that next to my car. Oh, how he made me smile. Just chilling out and relaxing, as if bathing in the sun. Indeed, once again, he brought with him a sign....I've finally started submitting letters to agents for my suspense novel. The procedure is usually to email a letter, outlining your book and credentials, along with the first chapter. Today, I got my first request for the full manuscript. A terrific thrill! At once, my heart sings with promise, while at the same time, bracing myself for a possible rejection. If all the planets align, I will be heading in the right direction. As I've mentioned before, I write about serial killers, but mine don't even realize they're serial killers. In one novel, the killer does it for a distorted view of love. In another, the killer does it for revenge, and also to rid the world of animal abusers...a noble thing, but I digress. I wonder how many serial killers don't realize what they are either. 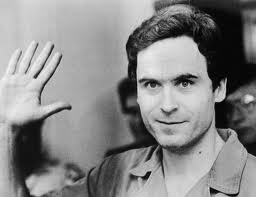 People like Ted Bundy must have known, because he was way too smart and crafty NOT to. Others actually DO it for the notoriety, like the Zodiac killer, who was never caught, even managing to taunt the authorities for decades. This guy knew exactly what he was doing, even taking some of his own employees as victims. Do YOU think most serial killers know exactly what they are?